Hello Taurus! Here's your 2011 Horoscope courtesy of SpiritNow.com. 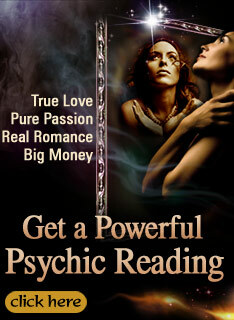 Watch and learn your personal 2011 Predictions on love, money, career, and important days in 2011. This is the most important Taurus Horoscope of 2011. Your New Year starts with a bit of a shake-up at home on January 4th. A partial solar eclipse signals an argument over property or money. It might trigger the end of a relationship. Powerhouse Pluto, creates deep transformational changes that last all this year into next. If you do split up, there's no turning back. But not to worry! There's a shining new love waiting in the wings. On May 3rd the new moon tells you to make a new start. Get rid of anything in your life that is not working.Â Start summer with a clean slate and entirely new goals. Remember dream big! The full moon on November 10 is your best night all year for romance.Â Â Single? Get out there and mingle! Nostalgic Saturn rules and an ex or an old frenemy could pop up! By the end of the 2011, so many changes will have taken place you may not even recognize your own life.Â But you'll be very pleased with the results. Get ready for a life change Taurus, it's your year for it!